The best double glazing, Yorkshire has to offer, from a local business you can trust. 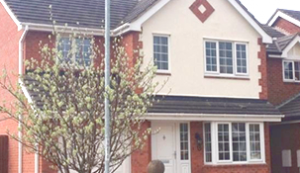 K Glazing installs new or replacement windows and other bespoke home improvement projects in Yorkshire. From doors, conservatories and porches to decorative glass, mirrors and tabletops, we can supply and fit, or repair, whatever you require. 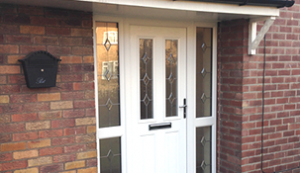 We are a family run business with more than 35 years’ experience in the window and door industry. We supply and fit windows, doors, conservatories and orangeries, custom made to order or supplied in common sizes. We can recommend the right products and colour match your new windows even offering bespoke colours to match any RAL number or popular brands such as Farrow & Ball. Why work with K Glazing? Whether you need new or replacement windows, doors, or require double glazing for a bespoke home improvement project in Yorkshire, we are here to supply and fit what you need. 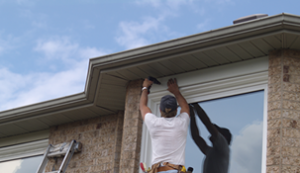 We supply direct to the homeowner and trade. We are a Which? Trusted Trader and a certified installer of all glazing products. We supply uPVC double glazed windows, triple glazed windows, casement windows, sash windows, tilt and turn windows and aluminium windows. We supply external doors, bi-folding doors and composite doors. 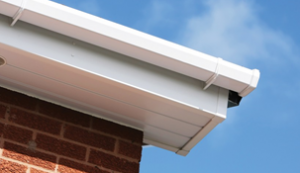 We also supply rooflines, guttering, cladding and a wide range of trims and fascias to suit every project. Windows are available in energy rating A and higher. 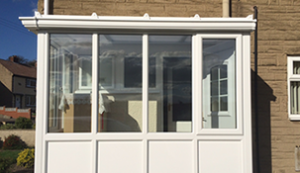 In addition to supplying and fitting the above, we also build bespoke conservatories, orangeries and porches. These are built to match your home. 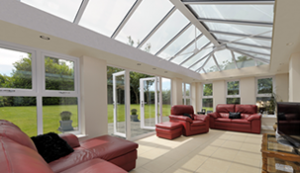 A wide range of conservatory and orangery roof styles are available, including a solid conservatory roof called the Leka System. This comes with a huge 40-year warranty in addition to our 10-year guarantee. It’s the best lightweight solid roof on the market. We are a Which? Trusted Trader and hold accreditation or certification with GGF, FENSA, Certass, Trustmark and SBD (Secure by Design). Additionally, all our products comply with the latest EU manufacturing regulations and British Standards. We only supply and fit products which are manufactured to the highest quality. Our 10-year guarantee is backed by GGFi and all our workers are vetted for competence. You can always trust K Glazing to do a top job. We are a well-established and widely recommended business. Please contact us for a quote. Call us on 01977 700025 or send us an email at info@kglazingltd.com. Thank you. As specialist glaziers, we have over 30 years' experience manufacturing and installing double glazing with unique and high performance glass. 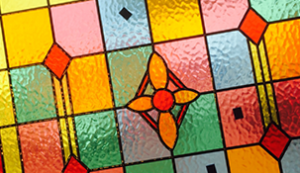 We offer bespoke products that national window companies can't, with a high level of detail and personal service. Our professional and reputable installers offer double glazing installation and repairs across South and West Yorkshire from Pontefract, Wakefield and Castleford to Doncaster and Barnsley.